There have been significant moments and monuments in recent years which have had tremendous impact on the public perception of the power of contemporary culture. MONA has shifted perceptions of Tasmania in a dramatic way and paved the way for a vibrant and economically sustainable cultural tourism industry. White Rabbit, the privately owned museum of contemporary Chinese art, is another which too has shifted the art institution landscape in Sydney in a major way. The potential for the biennial art fair Sydney Contemporary is yet to be fully measured though its popularity was obvious. Each of these institutions and events has raised the bar of ambition, excellence and potential considerably, jolting the public’s expectations to another level. Two major recent initiatives also look set to bolster confidence in the Australia art scene both nationally and internationally. Though completely different, both initiatives are aligned, in that both are set to inject support and opportunities for living Australian artists. These initiatives come from two major players who have embraced the art world, with considerable passion, vision and a much needed skill set, to affect and enact change. One is Art Money, a commercial lending facility established specifically for the purchase of contemporary Australian art from well-regarded commercial galleries. 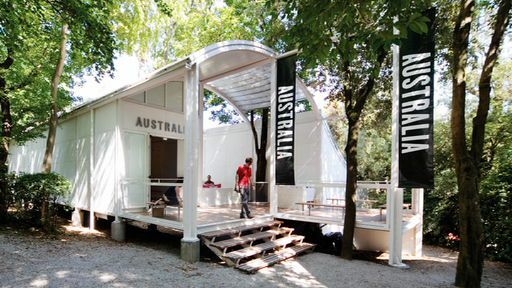 The other is the Australian Pavilion in Venice, developed with (mostly) private benefaction. Art Money should make acquiring art much easier for both new and seasoned collectors. It is based on a consumer lending facility, just like when buying a home, car, TV with surround sound or a computer, but tweaked to accommodate the nuances of the commercial galleries industry in Australia. Visit any major white goods store and you can buy to your credit limit’s content, take immediate possession and enjoy the pride and pleasure in ownership. Lending facilities fill the gap where your cash stops and the total value of the item starts – supporting the buyer and vendor to complete the deal. Galleries, essentially small retail businesses, have never had the luxury of offering such credit support to their clients. Laybys are possible but usually unsatisfactory for all concerned: possession is not taken immediately, terms vary and, of crucial importance, the artist whom the dealer represents is not paid (generally) until the artwork is paid in full. To buy artworks with Art Money, a 10% deposit is required with the remaining 90% paid in 10 interest free monthly instalments. Loans are approved online and virtually immediately. At this early stage, purchases are limited to Sydney galleries (about 25 at last count), which have subscribed to the scheme, and to artworks priced between $750 and $20,000. 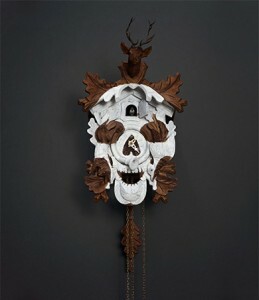 That gives a buying public a wide range of artworks from which to select to buy. This could be the biggest game changer in the industry since the days of buying contemporary art for self-managed super funds (now limited and fraught). It has the potential to stimulate a lagging industry, to attract new punters and to better support artists. Just look at what credit lending has done to techno goods and homewares industries. Paul Becker is the entrepreneur behind this initiative. His background as owner of marketing business 10 Group and relatively recent experience as manager of major projects in the visual arts in Sydney (Art Month particularly) has given him insight into a fairly closed and not always successful industry, particularly where the potential for opportunities and change lie. 10 Group’s website tells an interesting story of successful projects which support and extend the visual arts (predominately) industry: they are about audience development, promotion and education. Becker understands the general challenge for the industry of how to convert a high level of enthusiasm (as seen in the most recent Art Months) into sales on which an industry relies to survive. He recognised that the price point for art is not necessarily widely accessible so the challenge was to find a way to bridge that gap. Hence Art Money. Yes, there are other similar schemes successfully operating elsewhere, but it seems Becker has picked the eyes out of those schemes to develop Art Money. Collect Art in Tasmania is limited to supporting living Tasmanian artists and is wholly supported by the Tasmanian State Government. Own Art in the UK has been successfully operating for the last 10 years but, again, wholly backed by the UK Government and brings with it fairly stifling beaurocratic constraints. Both lack the ‘immediate’ loan approval of Art Money, which has the potential to stymie the emotional purchase – which, let’s face it, is what art purchases mostly are. Both alternate schemes rely on government backing which could be withdrawn with change of government or policy. Though Becker received support from the City of Sydney through its Cultural Policy and Action Plan to seed the project, his concern was to develop a sustainable commercial model which would be determined by market, rather than political, forces. 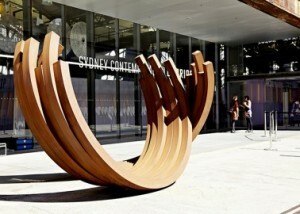 How many galleries have closed in Sydney, in particular, over the past 5 years due to tough trading conditions? Surviving gallerists will only ever be able to effectively represent a set number of artists at any given time. How many well collected, exhibited and collected artists no longer have commercial representation and whose future potential slips away? Plenty. 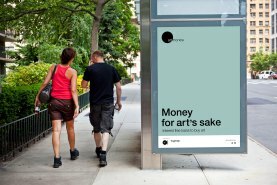 Art Money is a stimulus package, which appears to be well thought through, structured and supported. It is aiming to grow beyond the initial galleries in Sydney, to become a national scheme which could well encourage real patronage of contemporary art. It should enable a much broader cross section of the public to buy art. The new Australian Pavilion in the Giardini in Venice is a different kettle of fish, though one which is just as powerful a game shifter as Art Money. Again it is a project conceived and driven by individuals, with Government blessing. 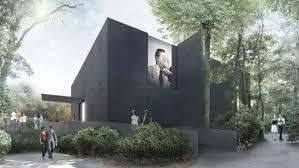 The Pavilion is to house Australia’s contributions to the Venice Biennale and in alternate years, the Architectural Biennale. The new Pavilion opens with the work of one of Australia’s greatest living artists – herself a major game changer – Fiona Hall in late May this year for the 2015 Venice Biennale. 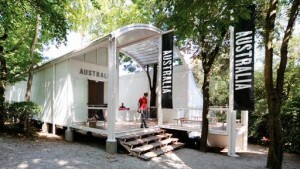 Simon Mordant, corporate advisor, Board director, art collector, philanthropist and Australian Commissioner to the Venice Biennale, has led the strategic charge to replace the original structure (which was only ever intended as temporary) with an elegantly simple Pavilion which would withstand the test of time and artist. He researched and lobbied both Government and private individuals to determine the broader level of interest in a new Pavilion and the approach required to make it happen. His business experience suggested a public private partnership was the best approach: with full Government endorsement and seed funding, private and corporate support would follow. Mordant’s approach was a national one, reflecting the Federal Government’s support, harnessing private benefaction from around the country. Over 80 Australian families contributed to the $7.5m required to design and construct the new Pavilion. Some gave considerably more than others but nonetheless, each contribution would have been significant. Australia’s plot of land in the Giardini was always significant. It was the last site in the Giardini to be allocated to a country and the only one with a waterfront. 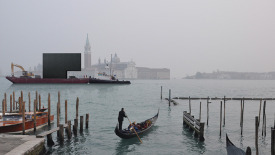 It should be noted that it was due to the determined lobbying of another major arts benefactor, the late Franco Belgiorno-Nettis, that persuaded the Venetian authorities to give the site over to Australia. It secured Australia as a major international cultural force and, with its biennial representation in the Venice Biennale, has launched the international careers of the many represented artists. The new Pavilion, the only 21st building in the Giardini, brings the focus back to Australia’s creative talent and cultural ambitions. The most important factor in the design brief – budget, logistics, materials and sustainability aside – to the selected architects Denton Corker Marshall was that the space be sufficiently flexible to allow each artist to claim the space as their own. There would be very few buildings, realised with private benefaction, which could lay claim to such an open and democratic philosophy: the physical structure should be entirely about the artist and the potential for the artwork. Benefaction is not always about the benefactor. Yes giving reflects the passions and values of the benefactor but it is not always about their own personal reward. This is a fine example of a group of benefactors’ collective belief in the importance of Australia’s international cultural profile and the opportunities which that brings for many, and should be widely acknowledged as such. As much as Art Money is a game changer on the local front, the new Australian Pavilion is a game changer for Australian artists, on the international field. Private benefaction, entrepreneurial vision and government backing is a potent mix to seek change and map a different , better, bigger course. What’s the next big game changer for the visual arts? Stimulating to read . The juxtaposition of the two counter approaches to support Australian culture on the world stage in contrast to propping up home grown artists and galleries is key. Amazing what can be done when the sector unites and is coloured with entrepreneurialism!